Many companies use my Executive Mentoring Group as a key career and professional development program for their employees. Employees love it because it's very practical and it's personalized. Corporations love it because it's a very meaningful and rich development resource they offer to employees, it's cost effective, and super easy to roll out. Contact me to talk about your group and get corporate pricing. 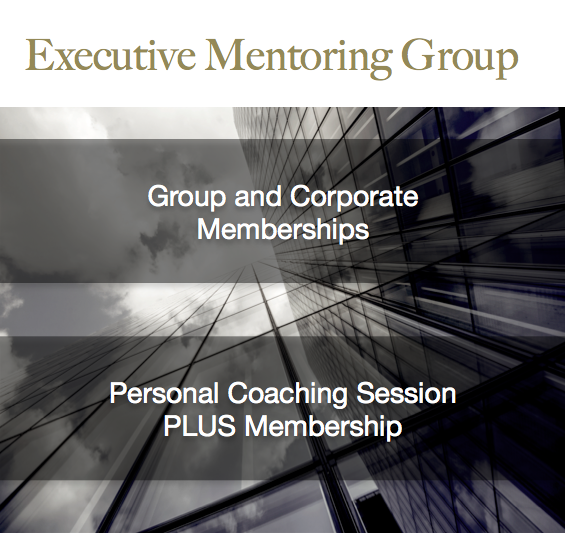 Although the Executive Mentoring Group offers two group coaching sessions with me each month, some people have asked me also for a 1-1 session. Contact me to get your membership set up, receive an invoice ($999), and schedule your session.